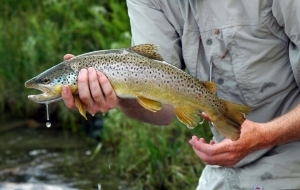 Fishing restrictions on the Big Hole River are lifted and the whole river is open to floating, fishing and frivolity. Clouds, heavy rain and snow in the high country translate into Blue Winged Olive (size 14). Streamers: White Zonkers (sizes 6 and 8), Big Hole Crawlers (sizes 6, 8 and 10). Chubbies, Hoppers and disco midge droppers. Fishing is on the up.